I had only been in my role of a Doctor’s Receptionist for about 3 months still getting my head around “Temporary Residents” “Immediately Necessary” and “Allocated patients”. Patients that were not registered at our surgery but needed to be seen. Different forms, no history and often quite complex cases and often without patient notes. I sadly witnessed some racism within the team, often trying to avoid giving appointments to those that could easily be fooled that we didn’t have any appointments hoping they would try another surgery. And I have to confess we did sometimes have some very complex cases. We would have drug addicts trying to obtain drugs and alcoholics, often wanting an appointment just before closing time with the forms to fill and not having notes these appointment would usually run well past closing time, another late night finishing after a very long day. We had self harming patients that were at the end of their wit’s end – nowhere to go and nowhere to turn to and the patient that was “allocated” to the practice. It is so easy to see the drug addict and the self harmer and look down on the homeless person without seeing the actual person. I was with the practice about 6 months and we had a training session where the Manager from the local Homeless Shelter came in to talk about the homeless people and because they didn’t have permanent addresses often moved from shelter to shelter and when they needed to see a Doctor they had to be seen as immediately necessary, and she shared with us some of the horror stories that some of her residents had faced when trying to get them a doctor’s appointment. Often being sent from surgery to surgery before being seen. She then told us about one of her regular customers. His name was Edward. Edward was an alcoholic – he was what some people would call a down and out. Edward just got by from day-to-day. He had tried to take his life but failed. His life was a mess. He had no life as such. Edward had been homeless for 2 years. Up to this point Edward was just a name, another homeless person – until she told us how he became one of her customers. Edward was a successful business man. He was very well off and had a beautiful wife and three lovely daughters who he adored. They lived in a lovely house in a nice part of town and very respected within the community. They were all out one afternoon and Edward who was driving crashed the car and his adoring wife and 3 beautiful daughters were killed outright. Edward suffered with depression, took to drink to block out the memories of that awful day, through the drink he lost his job, his friends, his car and then his house. Edward became homeless. Edwards story made a big impact on my career, and from then on in I always treated every single person that came into the surgery as exactly that – as a person. Who am I to judge, who was I to decide whether someone should see a doctor or go elsewhere – everyone deserves respect and from then on in every single patient got just that. Whenever I think back on all the training I have had, that must have been one of the most powerful training sessions I have had and it certainly did teach me a lot. Every person has a story to tell. Always treat people with respect. What right do we have to judge and count yourself lucky you are not walking in their shoes. I recently came across this short clip and it brought me back to my story that I have just shares with you. Have a look – do you see these people any differently after watching it? Communication between the Surgery and the Hospital. As a Doctors Receptionist you will have a close working relationship with your local hospital(s). Working for both Doctors Surgeries and Hospitals I can say that their systems are quite different. Not that anyone of them is right or wrong – it is just down to the type of work that they both do. But one thing that they both have in common is patients, and at the end of the day it is vital that you and their patients get the best possible treatment. So communication between your surgery and the hospital is vital for the wellbeing of your patients. The surgery would often work closely with the outpatients department in the hospital, as well as the labs – checking up on patient results, sending in samples etc. You at the surgery will all have come across the sample that has been sent in without the correct information on. The doctor or the receptionist has forgotten to enter the patient’s details correctly onto the specimen bottle – or perhaps the lab technician just would be unable to read the doctors handwriting although computers have come a long way in making this a lot easier to get right. I have been “that” receptionist that receives the call from the lab saying that they cannot accept a sample as it was not labelled correctly – I like many did not understand why the labs just could not take the details from me – after I had all the details of the patient in front of me. The outcome of this would have resulted in the patient being called back into surgery to have another sample taken to be sent off to the labs again. As I worked my way up to a Manager these incidents still occurred from time to time, I had receptionist complaining that they felt the hospital was being unreasonable when they offered to give over the patients details. So, I arranged a visit to the local hospital. The first visit was to the laboratories – I brought along the supervisors from each team of Receptionists. We spent several hours with some very helpful members of the management team at the hospital and they went through the whole journey of when the sample reached the hospital via courier from us at the surgery. It was amazing watching the process of these samples. What did surprise us was the amount of samples that they received in from each and every surgery in the local area – and some from outside the area too. This highlighted the importance of having each and every sample labelled correctly – and the awful outcome that could occur if one sample was given the wrong details. Meeting the team at the laboratory was lovely; it was nice to put a face to the voice that for years we had only spoken to on the telephone. We both listened to each other’s points of view, and both sides admitted that there were definitely areas that they could improve on the main one better communication between the two units. For us the biggest lesson learned was that each and every sample would be checked at the surgery before it was handed over to the courier before heading for the hospital. The Doctors were reminded regularly about the importance of completing the sample bottles correctly – and most importantly in handwriting that could easily be read by the laboratory technicians. We discussed our visit at our next receptionists meeting. Because of the volume of receptionists that we had it was impossible for them all to visit the hospital, but it was important for them to learn from our visit. This was also something that I would discuss with every new receptionist. A month after our visit I phoned and spoke to the member of staff that had been our guide for that afternoon and he also agreed that things had become a lot better, samples were being sent it properly labelled, and if there were any queries it was a pleasure to phone and speak to someone who they knew. Our Supervisors also said that communication between the two units had improved a lot. About 6 months later I organised a similar visit this time around the outpatients department. I took the supervisors along with me again, this time they were shown around the department and how the hospital dealt with a patient’s referral letter when it arrived from the surgery. Again, communication was greatly improved after this meeting. So, much so we invited a couple of the ladies from the outpatients department to come and spend a few hours with us at the surgery, sitting with the secretaries and the receptionists seeing for themselves just how busy and hectic it was. They too found it an extremely helpful exercise. They agreed that they never really fully appreciated how busy it was at the surgery, and again communication between the two departments was greatly improved. The importance of being a good Supervisor or Manager? Managerial effectiveness is a crucial element in the running of any Practice. But being a “good” manager is not just about hitting targets and working for the company – it is all about managing your staff in the most proactive way you can. Leadership is the only way forward. Here are some points that are vital to a Manager to help manage a good and happy team. role – being a Supervisor you are in a responsible role and lead a team and this is just as important as a managerial role. 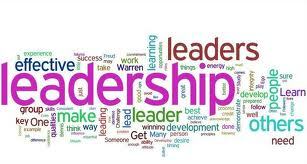 In every organisation there is a definite need for leadership. Whether it is a Team Leader, Supervisor or Manager they are vital to the practice. You will need to be goal orientated, self-motivated and possess boundless energy and have to learn how to exert influence effectively in all directions – upwards, downwards and sideways. 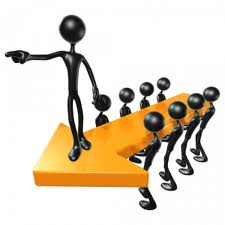 You will need to show strong leadership both to your bosses and the staff. time. You need to be seen to be fair, treating everyone with respect and not show any signs of favouritism. Strict neutrality is also necessary in your dealings with staff. It is hard to maintain a strictly unbiased approach if you are particularly friendly with one or more members of staff. The role of a Manager can sometimes be very lonely. 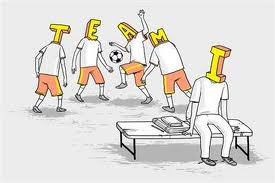 Team building is vital for the whole practice. Communication plays a big part in Team Building. Get to know your team where possible as individuals. Get to know their strengths and weaknesses, their goals and their hopes. These will help when it comes to yearly appraisals. 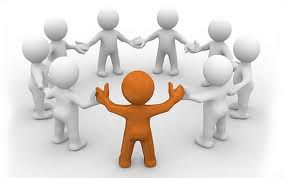 By knowing your staff and their abilities you are able to place them in the job best suited to them. You might have someone who has great people skills – they will be ideal to put on the front desk, and someone who has great computer skills yet not so good on people skills, they would be great at carrying out admin and computer work. By placing these people in these roles make for happier staff – they are doing something they enjoy rather than just doing a job given to them. You need all types of staff to have a team. Someone that is has a great telephone manner, someone who has great people skills and someone who has great organisational skills – use them to the best of their ability. Team Building is such an important part of your job. interesting job but usually like to feel that what they are doing is worthwhile and that they have job security. They need to be able to respect their boss(es) and have the respect back. Offer staff opportunities – training, learning new skills, and promotion wherever possible. Staff are more likely to be motivated if they receive recognition and praise when it is deserved. 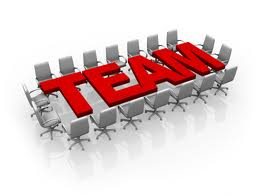 This can be given to individual members of the team or to the team as a whole. If you are praising an individual do not do it in front of the other members of the team. This can often lead to embarrasment on the member of staff involved and also cause bad feelings amongst others. Call them to your office and give the praise – if the praise is to the whole team give this at a team meeting – and ensure that staff that are not at the meeting receive the praise. You could verbally give the praise followed up by a memo to all concerned. Staff will work better if the management of the practice is not only consistent by also seen to be fair. staff are part-time workers and therefore you never having everyone there at the same time. Some practices have staff meetings in the evenings; some have “breakfast” meetings before their surgery opens. Others have staff meetings during the lunch break. One thing is for sure if you have a big team of receptionists you will never have everyone attend the meeting. Look at the best times that staff can attend. Send out a memo asking them what they would prefer. Try to rotate the meetings every time so everyone gets a fair change of attending the next one. But the important thing is to keep staff informed if they are unable to attend. For me the best way was to have each and every meeting has minutes taken and copies sent out to all staff – those that were present and those that could not attend also copy in your manager and the staff Partner. Always keep a copy of every meeting on file for future reference. It is important to give staff plenty of notice when the next meeting is going to take place. A good suggestion is to agree the next date at the meeting you are holding. This way you can add it to the minutes. If you have a lunchtime meeting a good idea is to provide lunch – perhaps a nice kind rep would be happy to help. As a Practice you will have to decide if overtime is going to be paid and at what rate or if they can have time in lieu for attending the meeting. Let all staff have an opportunity of adding items to the agenda. Let them feel that they are part of the meeting. In my experience most staff are happy to attend meetings if they can see the point of it and a positive outcome with direct action being taken if appropriate. If you learn to hold successful meetings, you should be guaranteed a good attendance. trained staff are confident staff. Invest in good training. It does not always have to cost a fortune. There are several options that you can take when it comes to staff training. You can either send individual staff on training courses outside the practice – your local PCT (Primary Care Trust) usually run excellent courses and many of these are free. You can attend courses and then bring them back to the and train staff. You can have an outside organisation come into the Practice and train several staff at the same time – this can be some similar to a staff meeting when it can be done during a lunchtime. Again Reps are often able to help in the cost of training. Ensure that you log all training that staff has been on – keep a training log of their individual training skills in their staff files. why you wish to hold individual appraisals is because you wish to learn from them, how they feel about their particular job and their role in the practice, this should ensure that they begin to feel less apprehensive about the whole process. For some reason staff always see appraisals as a negative thing. Try to change that. The appraisal interview should provide a forum for feedback from the employee as well as a chance for the manager to praise past efforts and offer constructive criticism on ways in which improvements can take place. Training needs can be identified and methods of monitoring development can be set up. It is important that you listen to their views and recommendations and, where possible implement changes that they have suggested. But do not make promises that you will not be able to keep. Communication is vital. Staff needs to be kept informed in anything that might involve them. Lack of communication is a good way to start rumours and bad feelings amongst staff. Keep your staff informed of necessary changes within their jobs or within the Practice. are memo’s and talking to staff wherever possible. Unfortunately we are hearing too much on elder abuse these days. It is and has been in the headlines far too often, on TV in documentaries and even has been a big storyline in Emmerdale recently. The vast majority of older people live full and active lives, enjoying good health, happiness and independence. 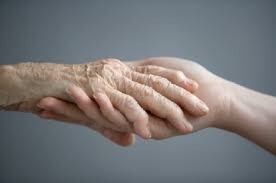 Most older people play a valuable role in their communities and society generally. This is a cause for celebration. However, a small number of older people may experience mistreatment, neglect or abuse, and they may also experience more than one form of abuse at any given time. As a receptionist you will often be privileged to information from patients they that might not chose to share with anyone else. I can recall many conversations with patients that shared some of their most inner secrets, fears and concerns. If you have a good bond with patients they will often tell the receptionist something they might not want to tell the Doctor or Nurse. As a receptionist will get to know your patients very well. You will chat to them on the phone, in person when they come to the surgery, and you even might know them if you live local to the Surgery. They will see you as a friendly face and someone who plays an important role in the Surgery. You will find that you will bond really well with certain patients. If you are in any doubt that a patient might be in some kind of danger, abuse or other then please share your concerns with a Doctor or a nurse at your Surgery. Do not discuss any of your concerns with anyone outside of the Surgery. Please remember patient confidentiality. If you are a recepitonist in a Hospital speak to your Manager/Team leader about your concerns. There are several forms of abuse, any or all of which may be perpetrated as the result of deliberate intent, negligence or ignorance. Physical Abuse includes hitting, slapping, pushing, misuse of medication, or inappropriate restraint. Psychological abuse includes emotional abuse, threats of harm or abandonment, deprivation of contact, humiliation, intimidation or coercion. Neglect and actions of omission include ignoring medical or physical care needs; failure to provide access to appropriate health, social care or educational services, the withholding of medication. Financial or material abuse includes theft, fraud or exploitation; pressure in connection with wills, power of attorney, property, inheritance or financial transactions; or the misuse or misappropriation of property, possessions or benefits. Any person or organisation may be guilty of abuse. Most often it is someone well-known to the older person, for example, a family member (as in the story line in Emmerdale), a relative, friend or care provider – a relationship where there is an expectation of trust. In some cases, organisations, through poor work practices or lack of appropriate training for staff in dealing and interacting with and understanding older people can unwittingly allow abuse to happen. Advantage may also be taken of the older person by unscrupulous individuals, such as bogus traders and callers – and of course we have all heard of such sad stories. Abuse can take place anywhere; most abuse takes place in the home, whether the person is living along or with family. It may also occur within residential, day-care or hospital settings, other places assumed to be safe, or in a public place. If you hear of a patient that maybe suffering abuse talk to someone you can trust in the Practice – the patient’s doctor or the Practice Nurse or Practice Nurse. Elder people often cannot stand up for themselves; perhaps they are too frightened to tell anyone – they often do not want to “worry anyone” such as their doctor or family members. Sometimes they do not even realise that they are suffering abuse of any kind. But one thing is for sure – elder people deserve respect, and help when needed. How would YOU feel if it was your mum or dad, aunty or uncle, or elderly neighbour that was being abused. You would want it dealt with if it was I’m sure. Communication plays a big part in Team Building. Get to know your team where possible as individuals. Get to know their strengths and weaknesses, their goals and their hopes. These will help when it comes to yearly appraisals. By knowing your staff and their bilities you are able to place them in the job best suited to them. You might have someone who has great people skills – they will be ideal to put on the front desk, and someone who has great computer skills yet not so good on people skills, they would be great at carrying out admin and computer work. By placing these people in these roles make for happier staff – they are doing something they enjoy rather than just doing a job given to them. Team Building is such a important part of your job. If you are praising an individual do not do it in front of the other members of the team. Call them to your office and give the praise – if the praise is to the whole team give this at a team meeting – and ensure that staff that are not at the meeting receive the praise. You could verbally give the praise followed up by a memo to all concerned. Some practices have staff meetings in the evenings; some have “breakfast” meetings before the surgery opens. Others have staff meetings during the lunch break. One thing is for sure if you have a big team of receptionists you will never have everyone attend the meeting. Look at the best times that staff can attend. Send out a memo asking them what they would prefer. Try to rotate the meetings every time so everyone gets a fair change of attending the next one. As a Practice you will have to decide if overtime is going to be paid and at what rate. Let all staff have an opportunity of adding items to the agenda. In my experience most staff are happy to attend meetings if they can see the point of it and a positive outcome with direction action being taken if appropriate. Receptionists Training: What NOT to say. When working within a team it is vital to work with and support your fellow workers. A good “work person” never blames his/her tools – and your team are your tool. Here are some things you should NEVER say to a patient visitor or another member of your team. Those people in …………………………… don’t know what they are doing.